This beautiful, Boho necklace started with a chain..to which I threaded a gorgeous length of Sari silk ribbon, through the links. The focal piece is a lovely flower pendant with Swarovski crystal dangles. I have also added in various places on the chain, a lovely little Swarovski swirl dangle. The clasp is a large lobster clasp. 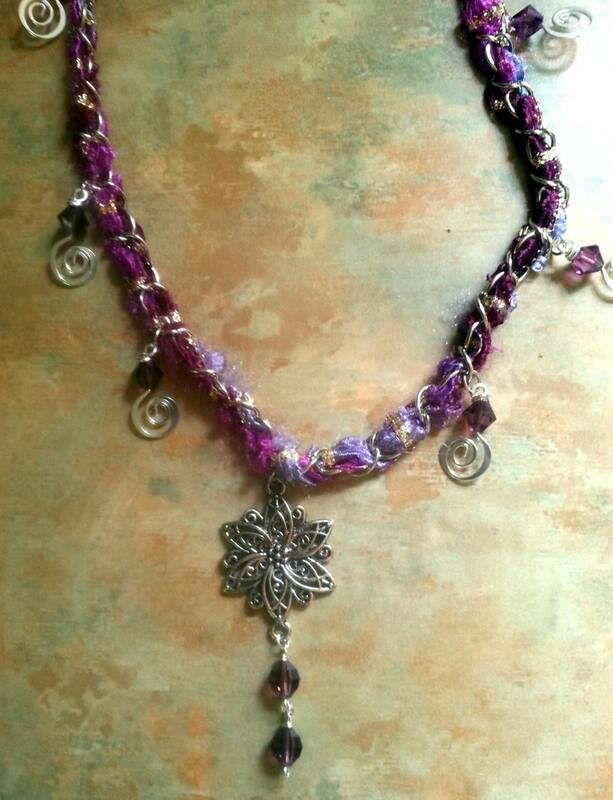 This necklace is a perfect choice for that Bohemian, purple loving person!